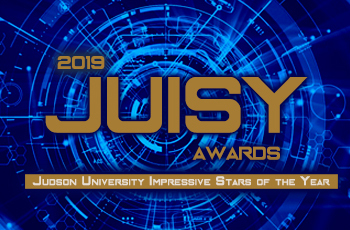 Join the Judson University Athletic Department for the JUISY awards in order to celebrate both team and individual success that has occurred over the 2018-19 school year. JUISY stands for Judson University Impressive Stars of the Year. Mark your calendars as we encourage staff and faculty to attend to support our athletes and celebrate together. *Tickets for staff and faculty are no-charge but since seating is limited, we ask that you contact Jan Andresen in the athletic department at jandresen@judsonu.edu to reserve your tickets no later than April 21.